PCS is a specialty contractor with crews working in every state in New England. We keep our crews busy by providing innovative cost efficient solutions to all of our customers needs. At PCS our employees are our greatest asset. Our team is consistently exposed to the best training in the industry. 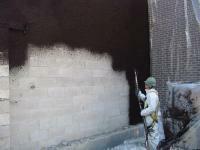 For example we have ACI certified finishers and shotcrete nozzle men. Our waterproofers are certified by our material suppliers and our equipment operators are trained at the factory. We recognize that we are only as good as the crew on site. Below is a list of our services, if there is anything we can help you with give me a call. Concrete Repair Services and Pressure Grouting in New England. Spray applied concrete wet and dry mix ,great for building stabilization and foundation repair, tank linings, retainer walls, swimming pools, dams and more. High performance epoxy coatings, decorative broadcast systems, sealers, concrete stains and concrete self-leveling toppings. 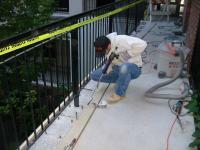 See more details about the construction services we offer. A specialty contractor working in New England specializing in construction services such as concrete repair, pressure grouting, floor coating, welding services and more at affordable prices. Repair parking garages, gunite pools and foundations in New England. "Helping To Repair New England's Foundation"